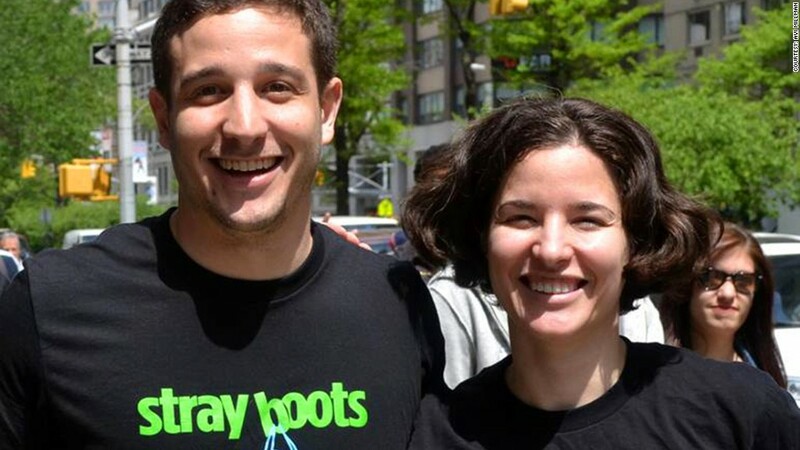 Siblings Avi and Noemi Millman, founders of interactive walking tour app Stray Boots. Wouldn't it be great to start a company with your brother or sister? If you happen to have a sibling who is also a close friend, the notion may have crossed your mind. Jumping into business with family isn't always the right option, but it's working out great for Avi and Noemi Millman, who launched Stray Boots in 2009. Inspired by a trip to Rome, they created an app that gives interactive walking tours that are "less passive than a traditional tour, more like a scavenger hunt," says Avi. So far, about 80,000 people have taken the tours, which are offered in 14 U.S. cities and London. 1. Make sure you're not too much alike. Both sibs are Princeton grads, but with vastly different -- and complementary -- skills. Noemi, a software developer, "had the tech skills we needed that I don't have," says Avi. Avi, on the other hand, is "much better at big-picture strategic thinking and managing people than I am," says Noemi. "He's also a risk-taker, where I'm more cautious. We balance each other." 2. Set clear expectations going in. "It's important to establish right away who is responsible for what, and agree on where you want the company to be in a few years," Noemi says. "And you need to be clear on why you're doing this with your sibling, versus someone else. There have to be sound business reasons" -- not just mutual affection. 3. Talk everything out. "This is something any co-founders have to do, but we have the advantage of many years of practice," Avi notes. "We also know exactly how to push each other's buttons." "Talking about money with family can be uncomfortable," he adds. "In agreeing on pay, we had to feel that neither of us was doing the other a favor." "Total honesty is the most important thing," adds Noemi. "It's also sometimes the hardest." 4. Be prepared for your relationship to change. "We spend so much time at work together now that we hang out less as friends," Noemi says. "You need to keep the personal and the professional separate," Avi agrees. "So you lose that purely personal relationship you used to have, and sometimes you miss it." The best part of running a company with your brother or sister? "Trust and commitment are built in," says Avi. "There's a much deeper level of understanding and loyalty than you'd probably have with any other partner." Are you in the second act of your career? If you're between the ages of 50 and 70 and have started a small business in the last five years, email mmagnarelli@moneymail.com.